with a finished 6″ x 6″ glass on glass mosaic framed and ready to hang. 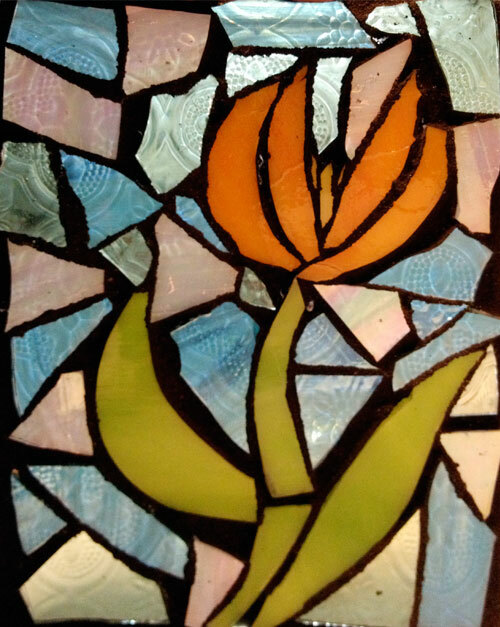 Join Carrie Strope Sohayda to learn the tips and tricks for working with No Days Mosaic Adhesive on glass. Carrie will share the various techniques she uses when working with glass on glass. Stop by the Streuter booth under the big No Days sign (#901) at the Las Vegas Glass Craft & Bead Expo to join in on the fun at the No Days University! This year, we’ve expanded the class offerings and have added more instructors. Guarantee your spot by pre-registering here. country teaching mosaic and fused glass techniques. coasters, etc. 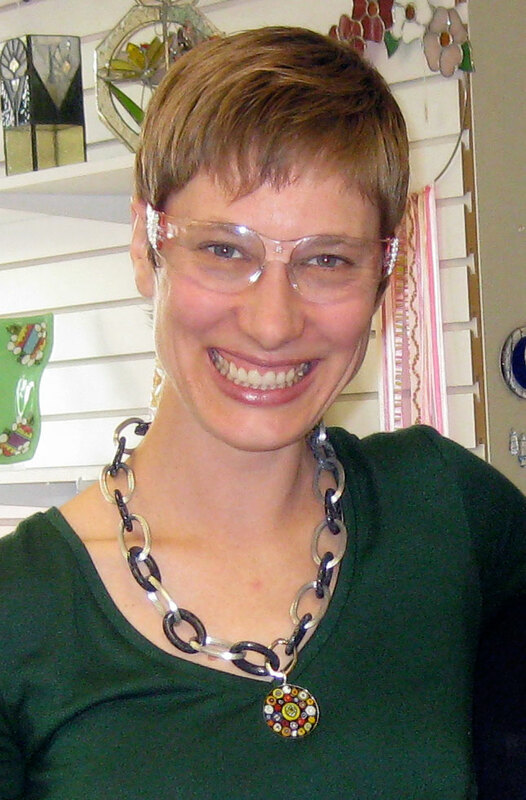 Meet Carrie and view her work on her website, Calyx Glass.